I live for lazy weekends. Sleeping in, coffee in bed, and a breakfast I barely have to put any effort into is my idea of heaven. You can start this recipe the night before and finish the next morning— all you have to do is roll out of bed and turn on the waffle iron! Learn more about Laurie’s cookbook, Simply Scratch, and check out the recipes Faith and the gang talked about during The Food Schmooze® brunch celebration. This easy recipe doesn’t require you to whisk egg whites into submission until your arm falls off. 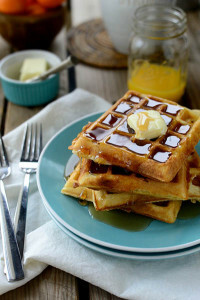 Yeasted waffles are a fantastic way to make light and crispy waffles without a lot of work. Prep this recipe the night before and enjoy sleeping in! In a small bowl, stir together the warm water and sugar until the sugar has dissolved. Stir in the yeast and let it sit and proof for 10 minutes, or until foamy. In a very large bowl, whisk together the flour and salt. Pour in the yeast mixture, melted butter, applesauce, and milk. Using a hand mixer, whisk until smooth. Cover with plastic wrap and let stand at room temperature, where it will rise for 8 hours to overnight. 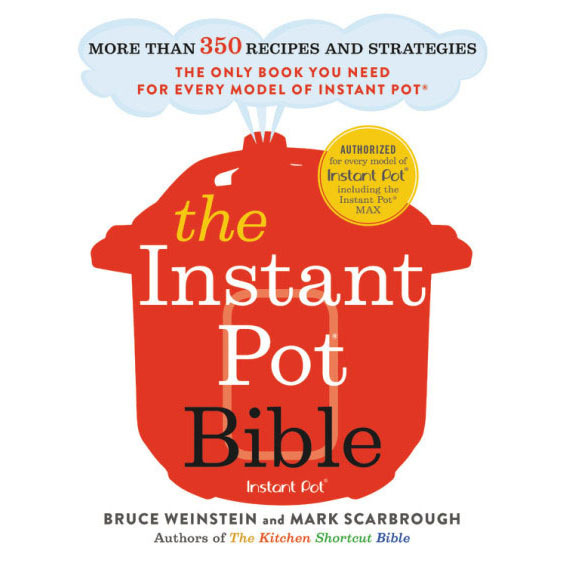 When ready to cook, in a small bowl, beat together the eggs, baking soda, and vanilla with a fork. Pour the egg mixture into the batter and whisk to combine. Preheat a waffle maker and lightly grease the plates with coconut oil. Working in batches, pour about 1⁄3 cup of the batter into the waffle maker and cook until golden, 4 to 6 minutes. VARIATION: Try adding fresh berries or lemon zest to the batter! 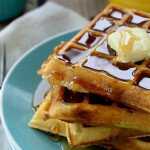 Extra waffles can be flash frozen: just place them in a single layer on a baking sheet and freeze for 25 minutes, then package them up in freezer-safe containers or wrap tightly in aluminum foil. They’ll keep for 2 to 3 months, and they reheat nicely because they can go straight from the freezer to the toaster.